This response was so thorough, it merited two months: March AND April. Christina L. is a local Napan and has been a loyal customer since she was pregnant with daughter #1. Now she is pregnant with daughter #2! She has referred many customers our way and "converted" disposable users to cloth (once by recommending a Rumparooz One Size cover over a disposable diaper, snapped in the back to prohibit a toddler from ripping off her diaper and flinging poo everywhere. That person is now converting to cloth with the next baby - Christina told her exactly what to buy!). Why did you decide to cloth diaper? Was your decision supported by those around you? If not, what do they think now? Finances. It doesn’t take a NASA employee to see the impression CDing makes on your wallet compared to disposables. It was seriously a no brainer for me. Not to mention, I anticipated my daughter having sensitive skin seeing as I have always had sensitive skin and my husband as well. I had mixed reviews. Some people were impressed…”Wow. I had no idea that cloth diapers looked like that?! Good for you!” Others were pessimistic, as though they somehow knew that my life was going to be consumed by laundry and poo would somehow be splattered on walls or something? What the heck? Some of those people STILL ask, “So…how’s that cloth diapers going? ::insert sarcastic laugh, expectant of my description of failing to continue in my plan:: PFF! “Great!” I tell them, “Still completely and utterly obsessed…you should see the new owl print diaper that I just got.” People are still oblivious to the beauty of cloth, not to mention, scared of a LITTLE extra effort in life. What cloth diaper systems did you begin with? Are you still using those types? I was gung-ho for Fuzzibunz OS and Grovia Ai2s….I use neither, now. As I mentioned the suspected “sensitive skin”…oh yes…DD has it and she can’t wear a Fuzzibunz or a Grovia without breaking out like CRAZY. It didn’t happen at first for her, but after about 5 months…I couldn’t get away from it. 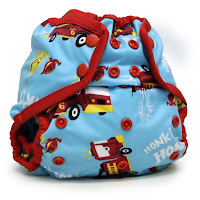 I have almost completely changed my cloth diapering preferences and now use fitteds, prefolds and I have a few pocket diapers for Daddy and Grandma, and when I just don’t feel like snapping on a fitted and a cover. It’s not called “lazy” it’s called “having options” – ANOTHER reason why I love cloth! Do you stick with one type/brand of diaper, or try multiple? Why? I’ve tried a lot, looking for the perfect fit. I must admit, I like my CD drawer to be organized, and the random few diapers that don’t fit with the majority of the brands I use always seem out of place to me, like they need their own drawer or something. ::LOL:: You won’t know if you like something until you try it. What do you wish you would have known when you first started out? 2 words….Diaper. Sprayer. Oh man. I am certainly not one who has a light stomach or is afraid to crack a poo joke…heck…I do the diaper check sometimes with a finger…YES, YES I KNOW…not smart. 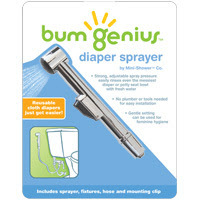 HOWEVER, I just do not want to be diaper dunking in the toilet any more than I have to (and sometimes you just have to) but the diaper sprayer is brilliant and, I suppose, if anyone upsets you, you can aim at them from the bathroom at about poke an eye out with the water pressure that thing possesses. Multipurpose item!! How many diapers do you currently own? Are you happy with this amount? I have 26, with about 2 dozen prefolds (in DD’s current size) and ton of small prefolds, and 6 or so smaller fitteds that she’s outgrown. I definitely don’t need all the prefolds that I have, but with baby number two on the way, I will be set with those. I do want more fitteds and pockets to accommodate two babes in cloth at the same time (YIPPEE FOR REGISTRIES!) I must say though, I really want to try a Tot Bots Easyfit that Angela now carries…OOH LA LA!!!!! Do you have any cloth diapering tips, secrets, or advice you can offer to parents just starting out? Tea tree oil…use a couple drops in your wipe warmer and MOST IMPORTANTLY 3-4 drops in every wash cycle…say good byeeee to stinkies and bacteria! Swap boards…yes…you can sell your cloth diapers USED and heck, when the hubster throws down a “no more budget to buy diapers” strike, you can even TRADE diapers. I was skeptical at first, but once I realized just how CLEAN my diapers are considering my wash routine, I was no longer worried about trading. I have tried many neat diapers through the swap boards and sold off the not so good trades and not to mention, that huge stash I started out with that no longer worked for us. Don’t be scared. Also, I LOVE CJ’s butter, Bumrite carries it, due in part to my raving about it to Angela. ::pats self on back:: Seriously, the smells are insane! And they are incredibly creamy and go great on the bum. They even have an amazing “yeast formula” that cleared my DD’s yeast infection LIKE NOBODY's BUSINESS. It is a fantastic all natural product. HIGHLY recommended. 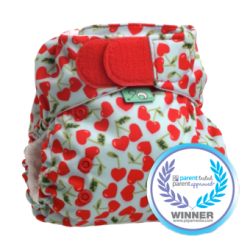 Which of our in-stock diapers can we send you for being customer of the month? Why did you chose that particular one? Thank you for participating as Customer of the Month! Your experience and feedback is invaluable to other parents. Your answers may be featured on our Facebook page, part of our blog, and/or by email. We reserve the right to edit answers for length, but please be as descriptive as possible! 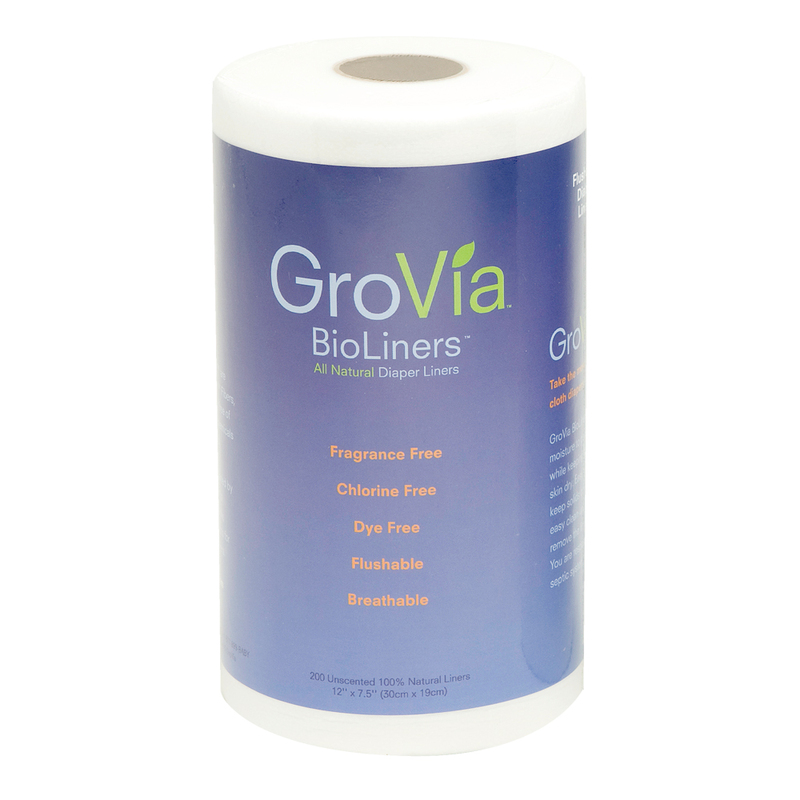 On her last visit to BumRite Diapers, Christina picked up a couple of rolls of "poo paper" aka GroVia BioLiners and chose the TotsBots EasyFit in Cherrylicious for her thorough response to our Customer of the Month Survey. Thank you, Christina!